After years of supplying corporate ecards for holiday to businesses all over the world, we like to keep our eyes on what’s happening in the advertising world. Marketing executives are always trying to find new ways to grab our attention and with new technology it’s becoming more and more imaginative. 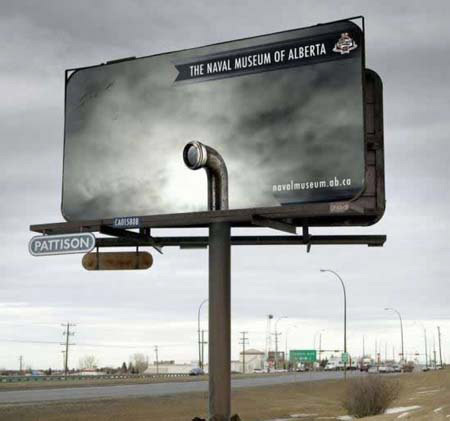 There’s a trend at the moment to make billboard advertisements blend in with the surrounding architecture or countryside, making viewers do a double take, like with this one for The Naval Museum of Alberta. You can find a whole host of innovative advertisements that take billboards to a bright new level at hongkiat.com.